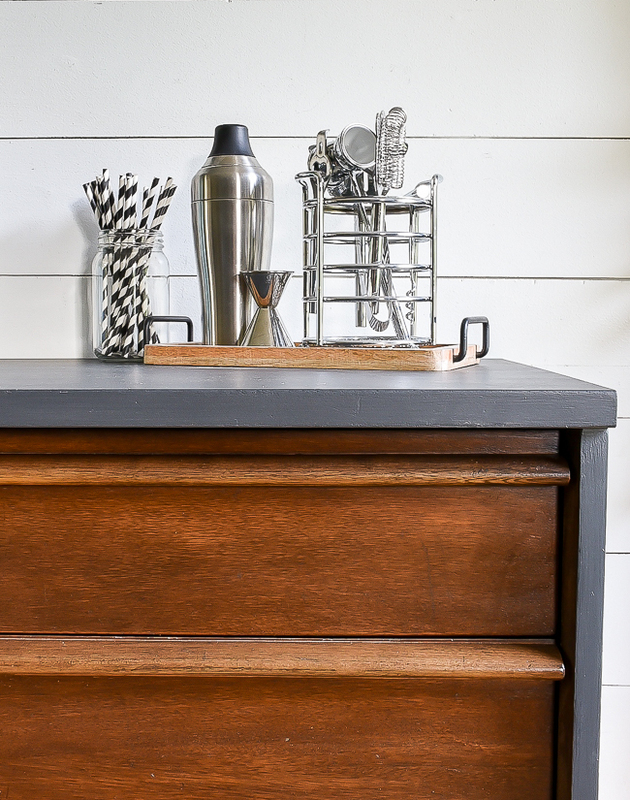 A vintage Bassett server gets a fresh modern makeover with Iron Ore and Black Gel stain. You know when one project leads to another, which leads to another and another and another? 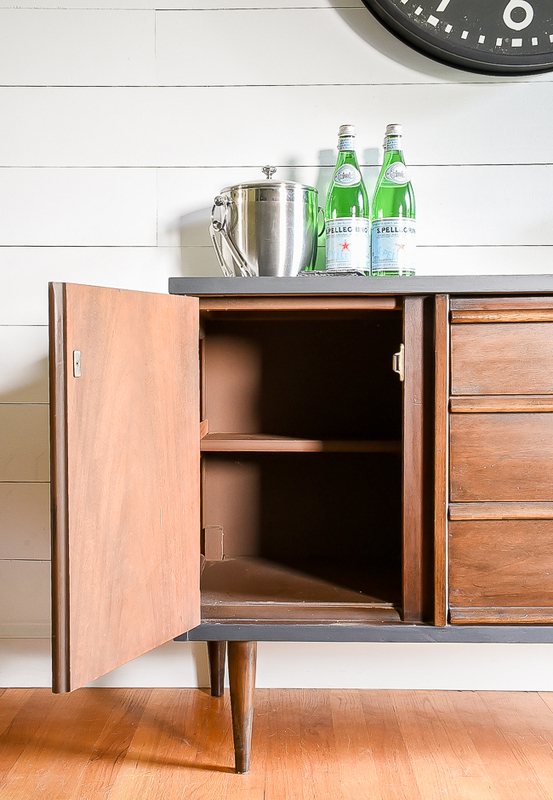 Well, that's kind of what's happening with this little vintage Bassett server. 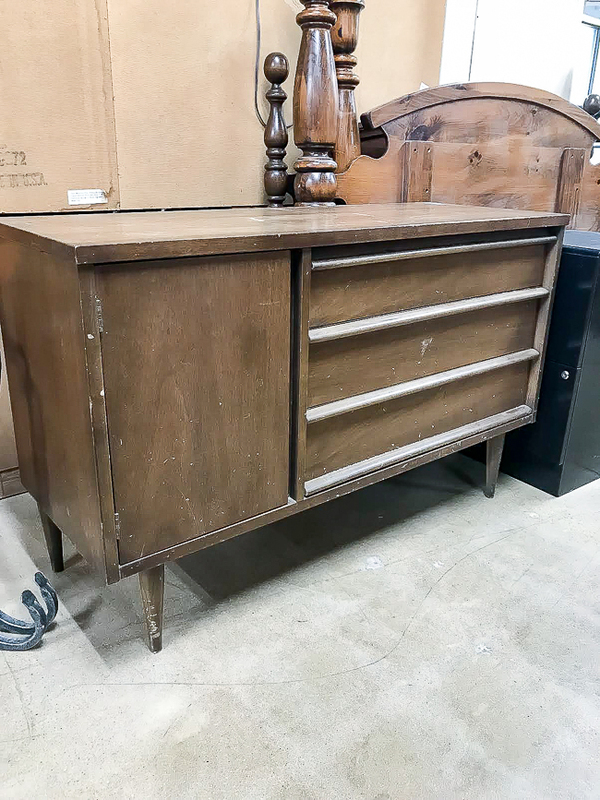 I actually had no plans of keeping it when I first spotted it at Goodwill, but after bringing it home and giving it a makeover with Iron Ore and Black Java Gel stain I kind of fell in love. 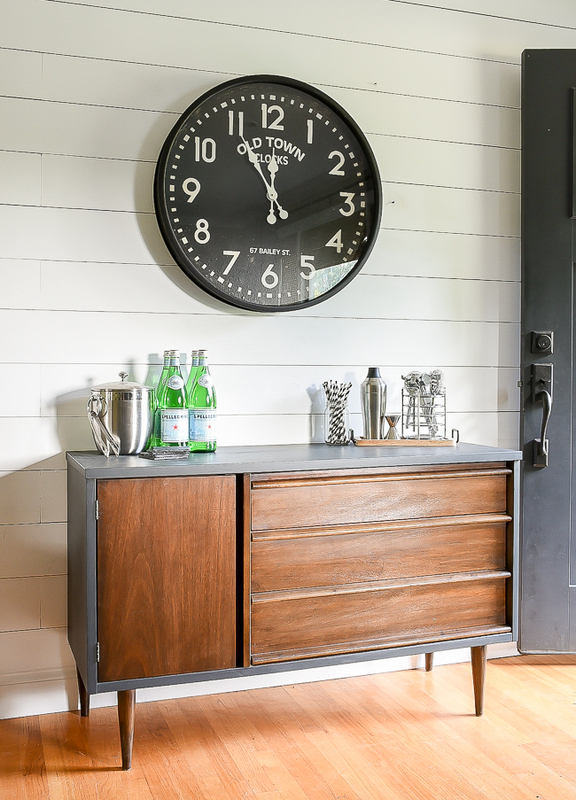 Well, the MCM vibe of this gorgeous vintage server doesn't really jive with the modern farmhouse feel of our current dining room decor. 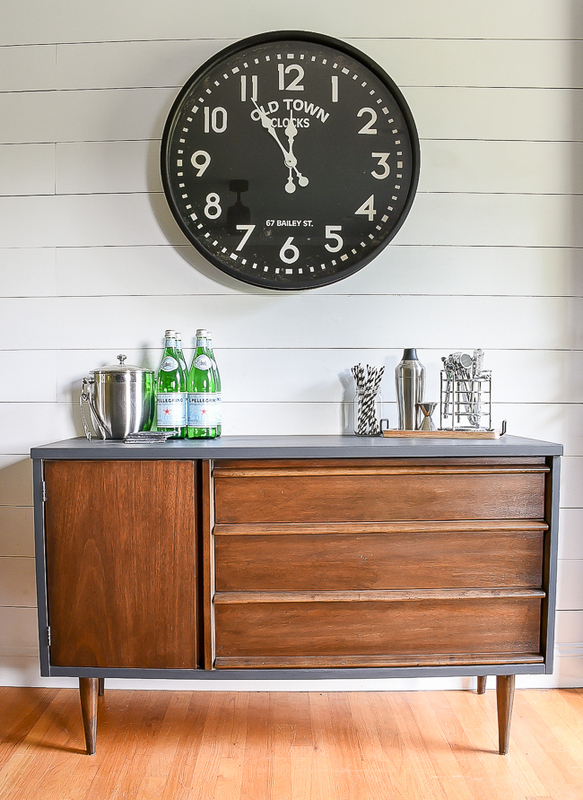 Moving the Bassett server to the dining room means the farmhouse clock, wood and metal chairs, rug and light fixture will have to go. 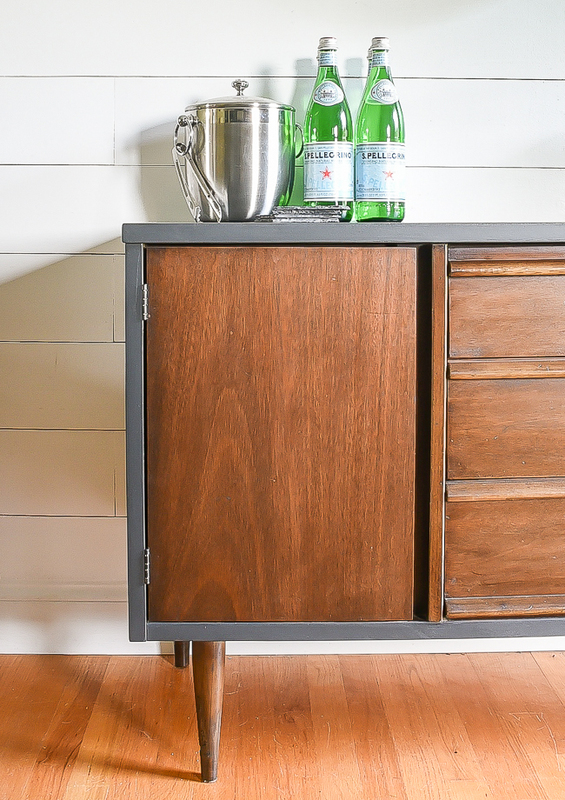 I'm still deciding if this little MCM server is worth doing a mini makeover, but don't be surprised if this gorgeous piece ends up in my dining room. Here's how the server looked when I first saw it at Goodwill. It definitely needed some love, but being that it's made by Bassett I knew it was a solid piece worth updating. 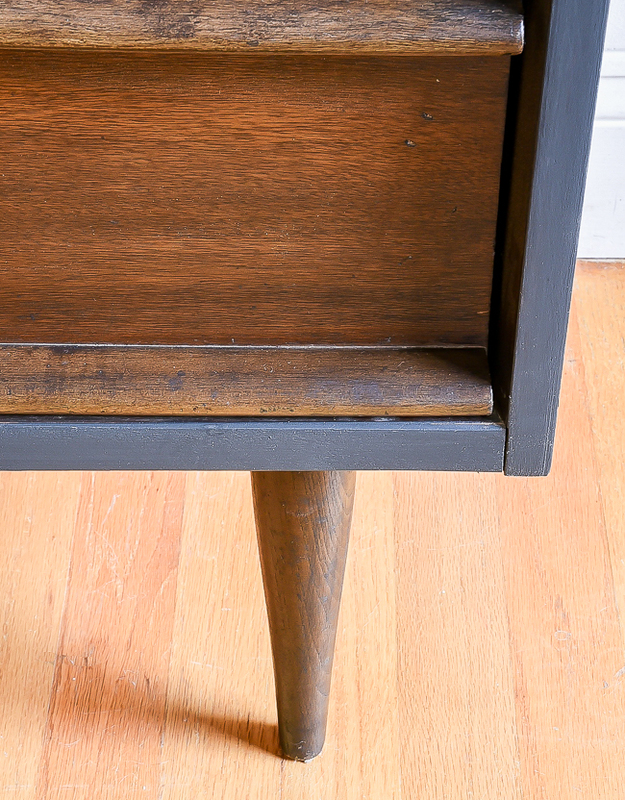 There were minor marks on the legs and drawers, but the top was where most of the damage was. I could have resanded and stained the entire piece, but after just refinishing the card catalog I decided to go the easy route. I sanded the top and sides (areas I planned on painting) with 100 grit sandpaper and my Dewalt Orbital sander. 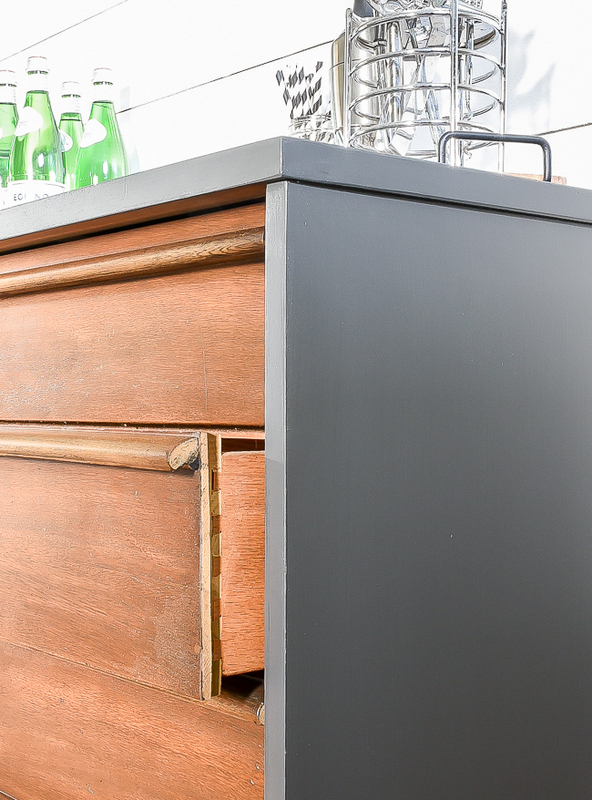 I then cleaned the server with Simple Green and applied two coats of Sherwin-Williams Iron Ore.
As far as the areas that I wasn't painting, I wiped on a light coat of General Finishes Black Gel Stain. I did have to sand out some damage on a few of the legs, but the gel stain cleaned and covered them beautifully. The hinges on the door were a little grimy and rusty, so I sanded them with fine grit sandpaper and sprayed on a few coats of Rust-Oleum ORB spray paint. This little vintage Bassett server is petite, but I think it will fit perfectly in my dining room. 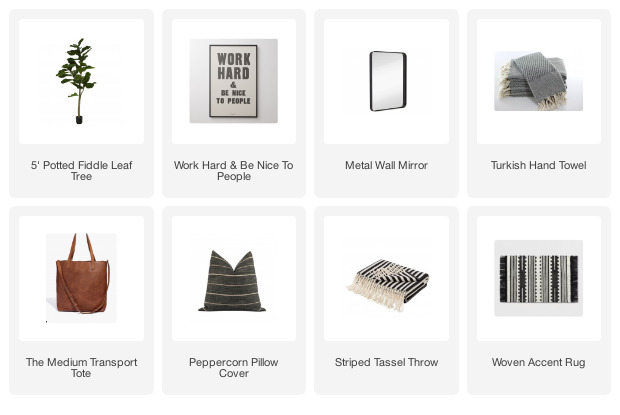 I'm already dreaming up new plans (if I decide to keep this beauty), which I hope to share with you soon. but seriously, change is good for the soul!!! Im wanting to do something to my builder oak kitchen cabinets to tone down the golden color. Im not learning towards painting white, as many have..any suggestions welcome!! Thanks Dawn! I did not sand the cabinet door or drawer fronts before applying the gel stain. I only sanded the legs because there were some damage that needed to be repaired. The stain did enhance the original wood and make it a little richer. I just used a paper towel because I didn't have any foam brushes handy, but I would recommend a cheap inexpensive foam brush. Just wipe on the stain then wipe off the access with a paper towel. 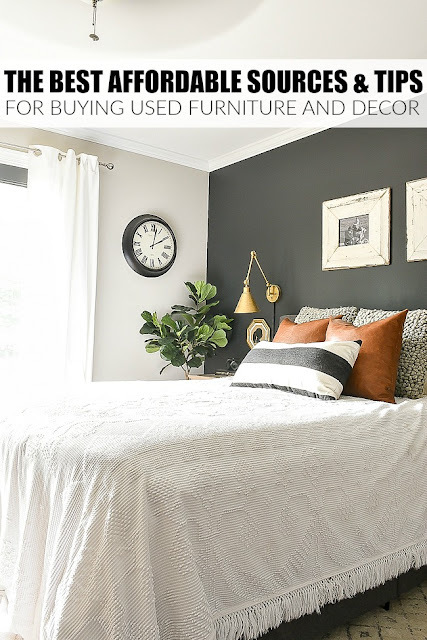 You can add more coats if you want a deeper, darker stain. I used very little stain because I wanted the grain to show and was just looking to cover up some of the prior damage. You worked some magic on that server! I love the finished look and how well you cleaned and preserved the wood. 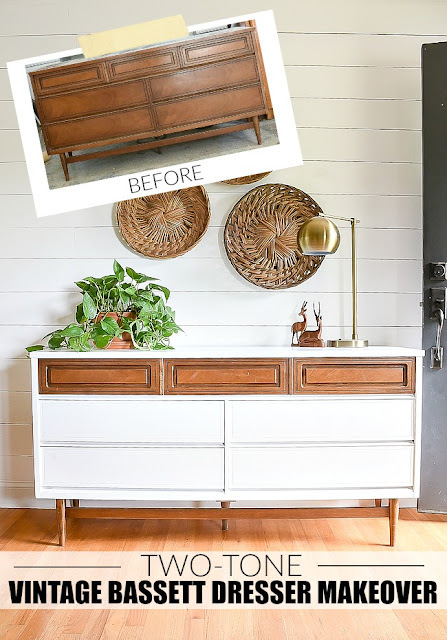 These old Bassett pieces deserve a rebirth. Way to go!